Can collection will resume in our new location on Mondays. The Garwood Fire Department has agreed to allow us to bring our cans to their Fire House, which is located at 415 South Ave in Garwood. Please note you can park your vehicle in the parking lot next door and collection be inside the building, use the front door. 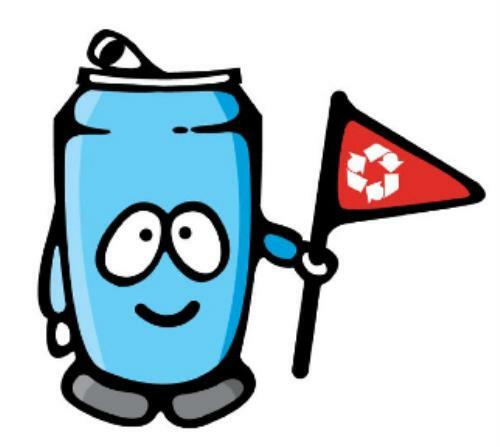 Our Service Unit collects aluminum cans (soda type cans) to benefit the St. Barnabas Burn Unit. Collections are done twice a month, on Mondays, between 7 – 8 PM at the Garwood Volunteer Fire House at 415 South Ave. Garwood. Whenever a Scout brings a donation,her name and troop number are recorded along with the weight of their cans. Any Scout who shows up to make four can donations over the course of the year(October – September)earns a patch from the Service Unit as well as one from the Fire Department.They will also be invited to a pizza party at the end of the year at the FireHouse. Another way to qualify is to just show up once with 35 pounds of cans.The Scout in the Service Unit that recycles the most cans (by weight) will also receive a plaque. Adults can also volunteer to helpwith the can collecting. Can collection is done on the Mondays before Garwood’s recycling pick up. Please have your daughters participate in this great cause. Aside from any patches or pizza party that they will earn, it is any easy way to teach them to give back to the Community.